RWARRRRR!! SEASONAL WEEK!! Yesterday marked the start of seasonal week, and with every month a new set of awesome treats! Now for me to deliver my first recipe of the week and boy oh boy!!! This one is a real goodie!!! *BIB WARNING* Grab those bibs guys as this one is surely going to have you drooling! 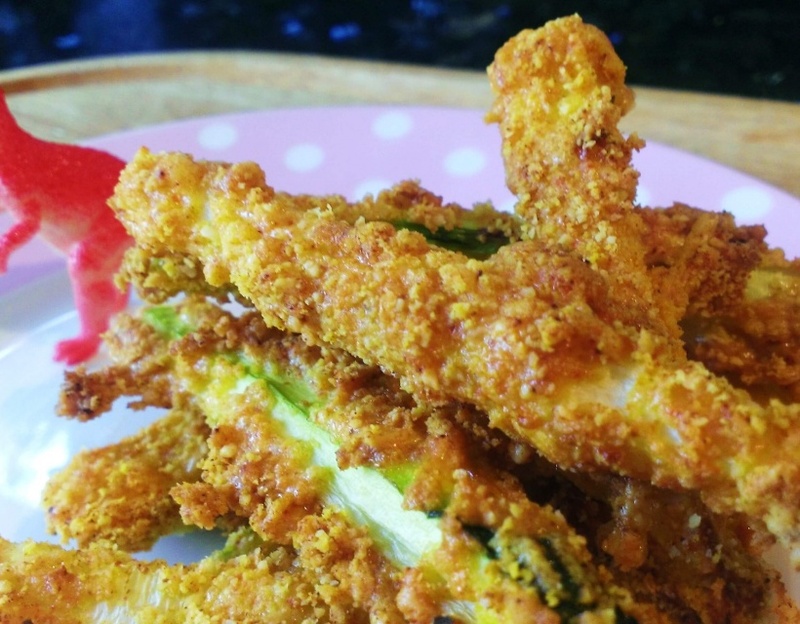 Today I bring you Courgette Fries! Not just bog standard fries though these are covered with a powdered coating of sheep's cheese, ground almonds and some uplifting spices and they just go crunch and ooooooo in the mouth! This is for you to find out though! So as always lets get makin' & bakin'!!! Spices! I used Cayenne pepper, Paprika, Turmeric, Cumin, Black pepper and salt! Set the oven to 200 degrees fan assisted! 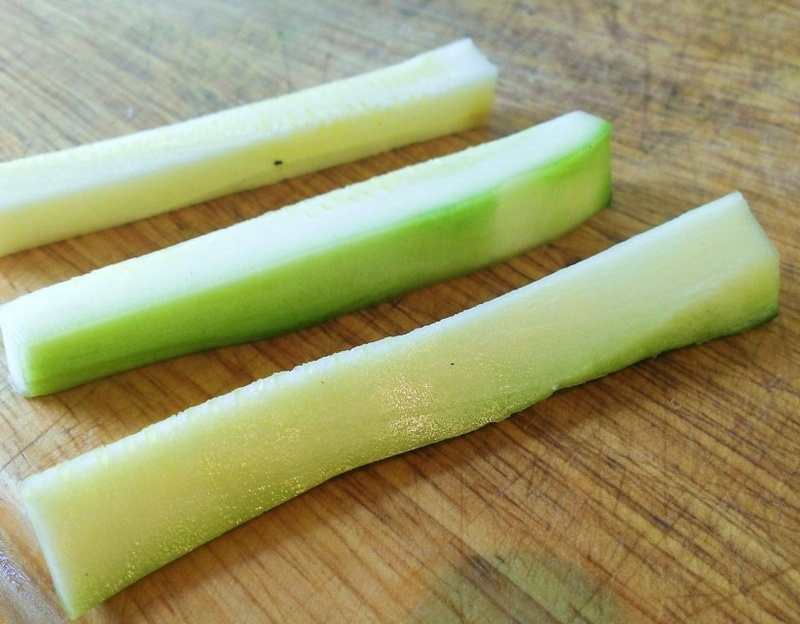 DIP your courgette pieces in and roll them in the mixture, then lay them on the tray! BOSH them in the oven for 25-30mins till they’re a nicely golden and crispy! THAT SMELL!!! The wafting aromas of melted cheese that just instantly has you brought to your knees at mercy! The arch enemy of Conan and all other heroes! Plate it up and serve with a meal, as a snack or an appetiser! Take a bite! Mmmmmm! 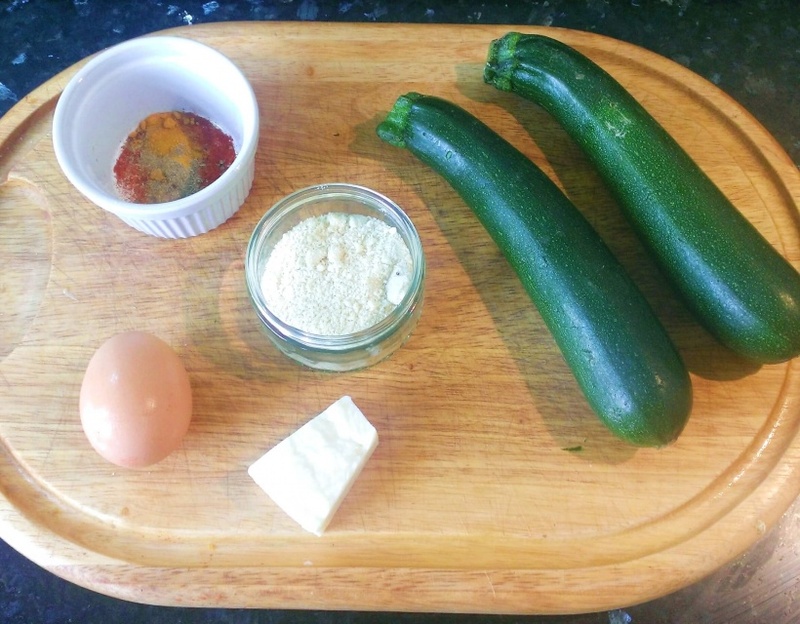 The soft courgette and its sweet roasted undertones, combined with the deep cheesy taste and slight hint nutty spiciness brought on from the spices, have you swooning all over again! 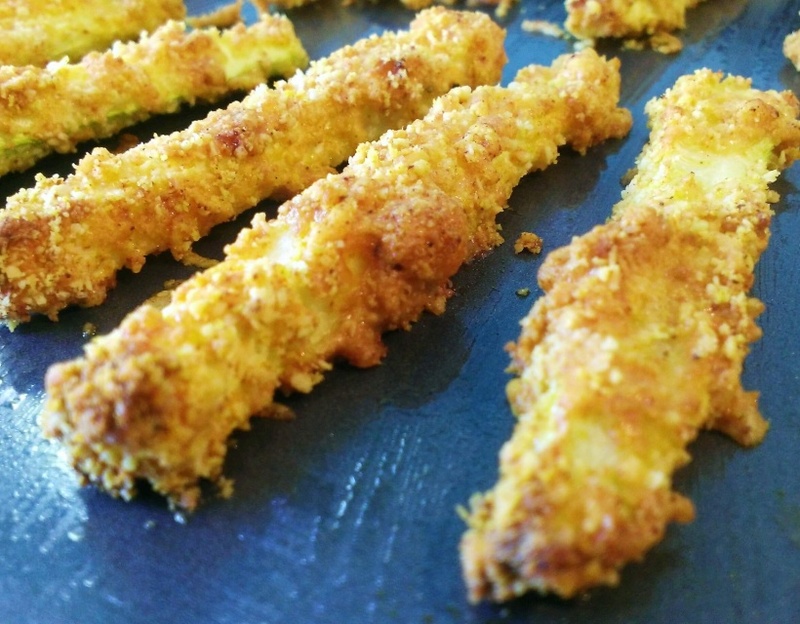 Enjoy this healthy, easy and awesome recipe! !